4 Beds 3 / 0 Baths 1,944 Sq. ft. 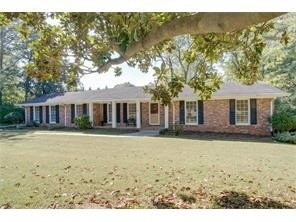 Description: Custom built, four sided brick ranch setting on large level lot w/ park-like-setting backyard. Spacious open floor plan. Three bedrooms & two full baths on main level. Large eat-in kitchen w/ loads of cabinets. Laundry room off kitchen w/ separate entrance. Huge lower terrace level w/ rec-room, fourth bedroom, third full bath, den, workroom & tons of storage. New HVAC. Quiet neighborhood with no cut through traffic. Great in town location. Located near Lakeside Hi, Emory/CDC Perimeter and Downtown.